Backlinks should be obtained naturally; it should not be attained by buying or selling the links in order to share the page rank as this provides the great chance to cause negative result for the website’s in search results. Exchanging links with other websites is a common thing that most of the SEO services follow. If the cross links are excessive, then Google might think the backlinks as unnatural and may even make your website to be penalized while updates. Alright, getting links through guest posting is a perfect white hat technique, but just keep in mind, don’t do too much guest posts. Try to contribute your articles, if it is in high quality. Don’t make use of the tools and services that provide hundreds of backlinks at a time, always remember automated works may sometimes provide error and in result may make your website to be banned from search engine. If you are interested or tend to avail text ads on other websites, make sure it is in rel=nofollow attribute, as if it is available as other types of attributes, Google may consider it as unnatural backlink. Be sure, as it might later generate penalty for your website. Don’t optimize your direct keyword using anchor texts as it might insist the Google’s spam algorithm to look at your website. Avoid building links in low quality directory and bookmarking sites as these links will not help greatly in improving Google’s ranking. Most of the forums make use of the tools that automatically generate signature links to the website. 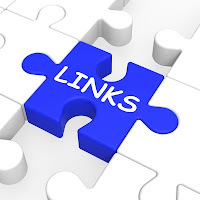 Avoid these kinds of links as these are considered as artificial links. These are some of the strategies that you need to consider while building backlinks to a website. Always keep track of latest techniques in order to use ethical tactics that pumps the website to the top in search engine result page.